Weather not particularly favourable but nonetheless a good steady flow of interested people. 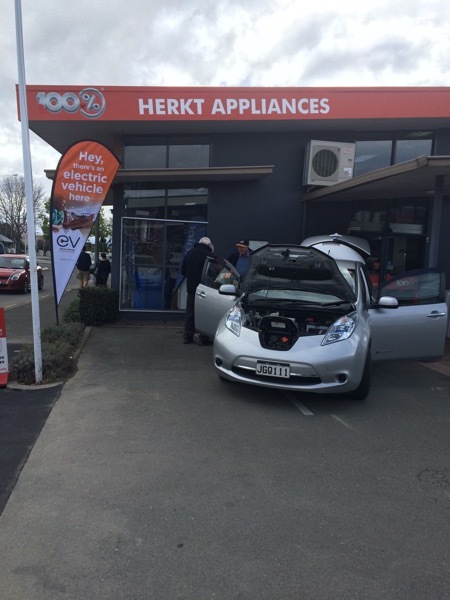 This event is organised by The Better NZ Trust who are working together with the Energy Efficiency and Conservation Authority (EECA) to promote International Drive Electric Week in New Zealand. EECA is promoting electric vehicles in New Zealand as part of the Government’s electric vehicles programme. EVs take advantage of New Zealand’s renewable electricity and create 80% fewer CO2 emissions than a petrol or diesel car.